In case you are a seafarer and you didn’t know it yet, there is a list of the different maritime agencies in the Philippines with valid license. 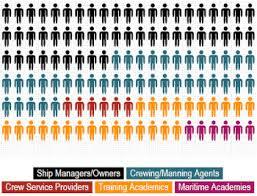 These crewing agencies are duly licensed to recruit seafarers for a shipping job in different positions. These sea-based recruitment agencies are approved and has complied with the requirements by the Philippines Overseas Employment Administration (POEA) and have passed set standards to qualify. The list is revealed below for the purpose of knowing which manning agency maritime workers are allowed to file for a seaman loan in any lending company in the Philippines. If you are a seafarer looking to apply for sea-based worker non collateral personal loan, please visit and fill up the loan application form here. ARL BLDG GLORIA 111 CASANOVA DRIVE T.SORA Q.C. Official Representative : EUGENIO T. REDIL JR.
Official Representative : ELPIDIO C. JAMORA JR.
RECRAA BLDG VITALEZ COMPOUND SUCAT PARA#AQUE M.M. 2F KNIGHT OF RIZAL BDG. BONI. DRIVE PORT AREA MLA. Official Representative : MEYNARDO I. BUGIA JR.
3F HR BLG., 43 MINDANAO AVE., Q.C. Official Representative : FELICISIMO G. SALANO JR.
4TH FLOOR, ACC BLDG, SANDAWA PARK, QUIMPO BLVD, MA N.S.